Wind energy has been identified as having an important role to play in the world's move towards a low-carbon future. But, due to short-term planning rules, it may not have as big a part as it could in the UK's own sustainable energy generation. To date, when most UK wind farms were under development, temporary planning consent of 25 years was granted. Under the terms of this consent, when the two and a half decade period comes to an end, the turbines have to be removed and the land returned to its previous use. Now, a significant number of the country's wind farms are starting to reach the end of their permission period, 62 wind farms in England, Wales and Scotland are aged 15 and over and 22 of these are more than 20 years old. If existing sites are removed without replacement this could decrease the overall amount of energy generated from UK renewables. But all is not lost. To combat the issue, in July 2018 it was announced that the repowering of existing wind turbines would not be subject to the same planning hurdles as new sites. And our analysis has now confirmed that repowering can massively increase the energy output of the UK's wind farms. The following table shows the potential increase in power (measured in megawatts) from sites repowering in England, Wales and Scotland within the next 10 years. In all, 54 sites are due to come to the end of their life within five years, and 161 more within ten years. This data is based on 23 sites that on average (excluding sites that repowered early for technical reasons) repowered after 18 years of operation. Although not all farms will repower this early, or have the same increase in output, these estimates show that repowering has the potential to greatly boost wind farms' contribution to UK energy supply. If all 215 sites did repower at this level within the next ten years the energy increase will be enough to power an additional 3.8 million homes. Repowering doesn't come without its challenges, however. It can change how a wind farm looks, which is not always popular with the general public. On average, repowering has reduced the number of turbines on a site by 24%, but turbines have got 89.5% taller. This has caused difficulties for local planning authorities when assessing the visual impact of planning applications. Public opinion and the benefits for local communities that come from repowering should be an important consideration – but this hasn't played a major part in approval decisions, and the public response to repowering schemes has varied. 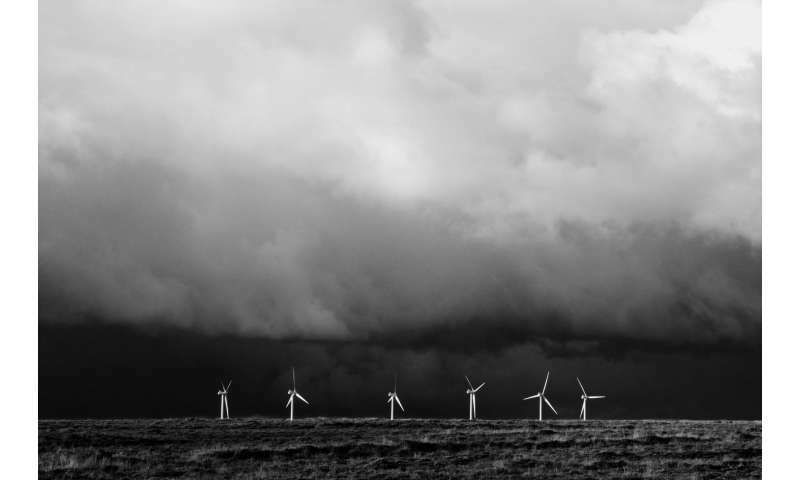 Some approved schemes – such as St Breock wind farm in Cornwall – have received significant support, while others (Ovenden Moor in West Yorskshire, for example) have come up against local opposition. A fact of the matter is that alternative energy systems do more damage to the environment than "fossil fuels". Converting wind energy into electricity causes the wind to have less ability to do work. But wind does many things, like distribute seed, move topsoil, moderate temperature over large areas. Already, areas downwind of windmill farms is abnormally warm. With their huge polished and reflective surfaces, solar farms keep clouds from forming, superheat dust overhead and create massive disparities between the temperature of the air ad the ground. Already, it's acknowledged that solar farms have city like "heat island" effects. Adding a heavier turbine will take more energy from the air or require faster moving air to run the windmill. So, mate, fossil fuel mining/transporting/burning....which puts vast amounts of CO2 and other environment/health-compromising pollutants into the air; and which damages/pollutes economically/socially valuable/irreplaceable water tables/rivers/streams etc; and which eats up subsidies for fossil fuel power plants/land use; and which locks us all into monopolistic and increasingly expensive prices and continued fossil fuel dependence/damage; and which is exacerbating extreme, back-to-back weather/climate disasters and storms etc.....is ALL 'preferable' IN YOUR OPINION....to environmentally cleaner, less damaging/costly, more/safer/healthier jobs/society which renewable energy alternatives will (and already do, in same places) enable going forward?